President Trump looked on. Dole was an early backer of Trump, and the only former GOP presidential nominee to endorse the president. 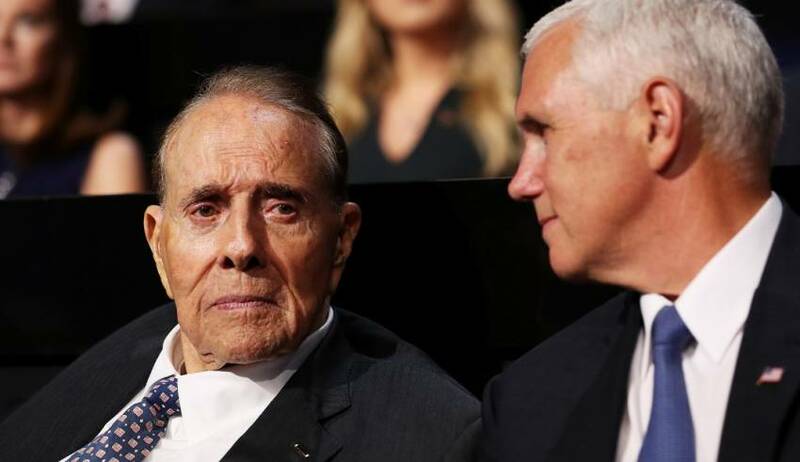 “I want to thank all those who’ve said such kind words about me,” Dole said. “They’re probably not true, but they were nice,” he quipped. In 1996, he was the GOP nomination for president, losing to Bill Clinton. He had earlier lost two bids for the Republican nod. He was also President Gerald Ford’s running mate in 1976. Dole, 94, was grievously wounded in World War II and never recovered use of his right arm. In recent years he’s been spotted sitting in a wheelchair and greeting fellow veterans who have traveled to Washington to see the World War II Memorial.